Please check that there is -5.2V on pin 4 of IC2. Thank you for the feedback and the photo. Is there anything else I need to check? Mean while I will check solder joints and tidy up. This voltage should be found on pin 4 of IC2 too. Please check the connection between point F and pin 4 of IC2. point F is now 0.709V, when I measure at point F with ground of multimeter on the negative point where two oscillicope leads are. 5.12V over zener when power is on. Now I have -5.12V at point F.
I now have -5.2V at IC2 pin 4. I have not changed anything so confused. One other point is that I am using a USB 3 connection. Does this influence the board? At present I have all the correct voltages at points A through to F and at IC2 pin 4. The USB cable can be connected to USB 3 socket of the PC without any problem. Notch is facing the capacitor bank. 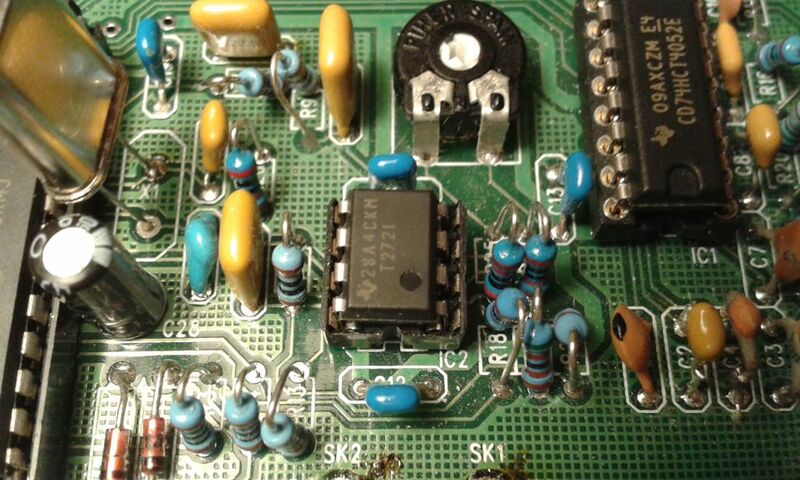 This result may indicate that there is no +5V on pin 8 of IC2. IC1 orientation seems to be OK.
OK - Please check the voltage on pin 1 of IC2. There should be about 1.6V. 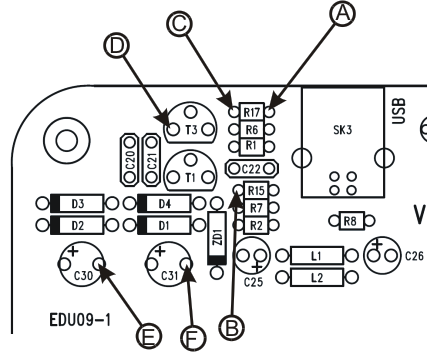 The voltages are measured when the USB cable is connected but the PC software EDU09 is not running.